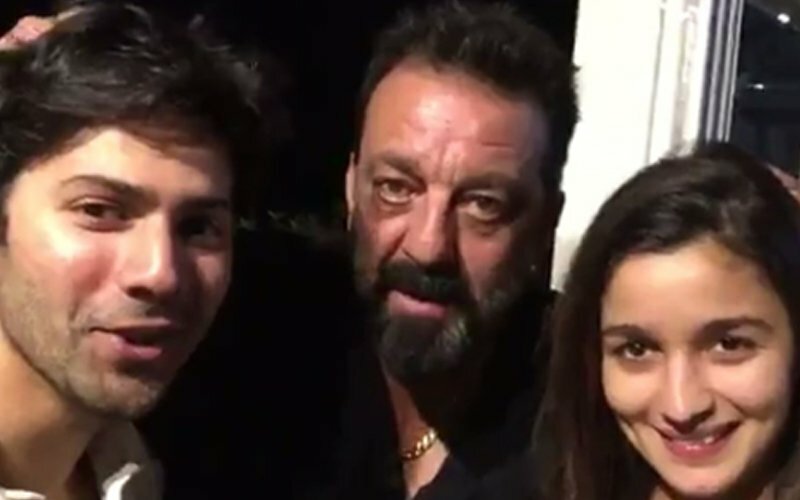 After teasing the audience for good 2 days along with Madhuri Dixit and Sanjay Dutt, here comes Alia and Varun’s Tamma Tamma (Watch the video above). 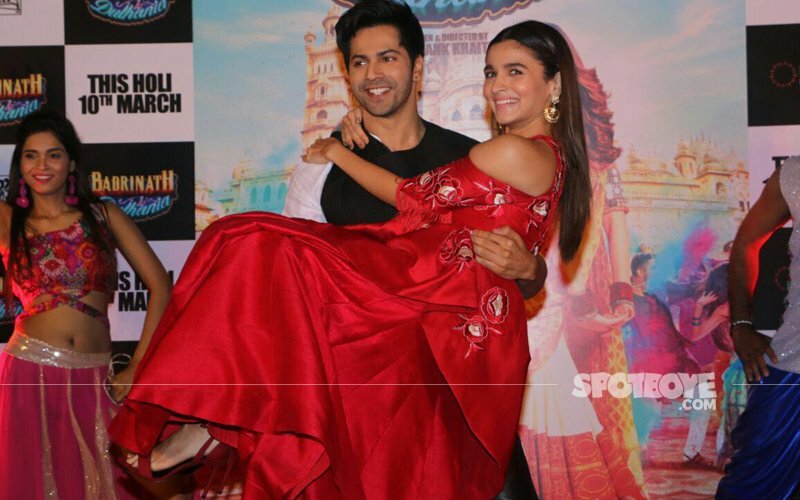 The song is set in a dance pub where Alia and Varun are seen partying and chilling out. From what we see, the two have put in a lot of effort to recreate the magic. The song, Tamma Tamma, from Thanedaar (1990) created hysteria decades ago and continues to be a memorable track. Audience had earlier got a glimpse of Alia and Varun dancing to the tunes of this iconic number in the Badrinath trailer, and now the full song is out. The original track has been retained in this modified version. The song is recreated by Tanishk Bagchi and the rap is by Badshah. Alia and Varun have done a great job. Both are grooving so well to the tunes that you just can’t take your eyes off this adorable couple. 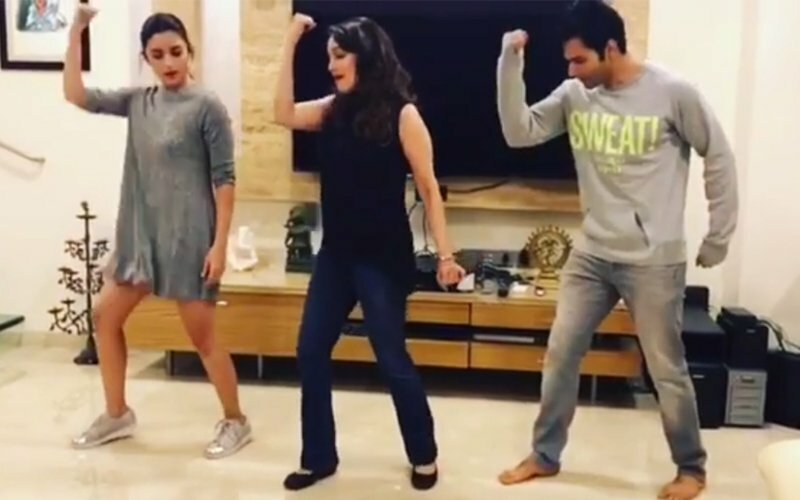 Varun and Alia also got to shake a leg with the original Tamma Tamma pair Sanjay Dutt and Madhuri Dixit. While Sanjay wished them luck for the song, the Dhak Dhak girl taught the pair the iconic steps. The title song of the film which released a few days ago, has already got the nation grooving and considering the popularity of Tamma Tamma, we are sure this one will resonate with music lovers as well. So, if you’re a dance number lover, set the song top on your playlist for some Tamma Tamma! Celebrate Holi With Varun & Alia In Badrinath Style! 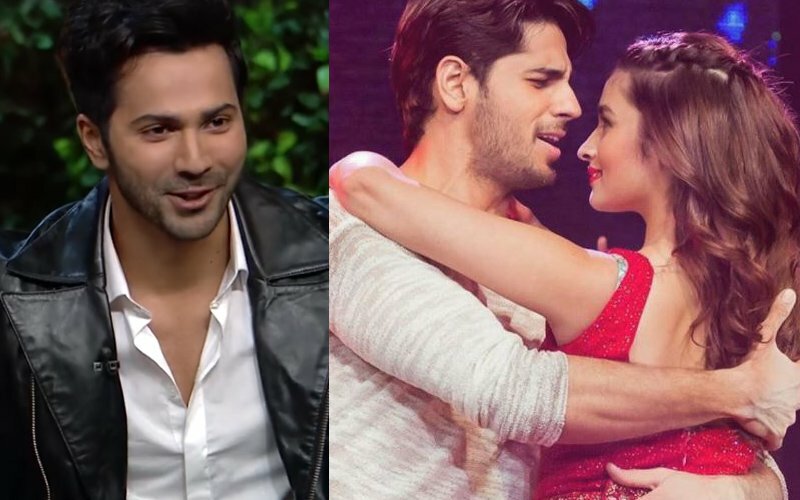 Varun Dhawan Confirms Sidharth Malhotra & Alia Bhatt's Love Affair!